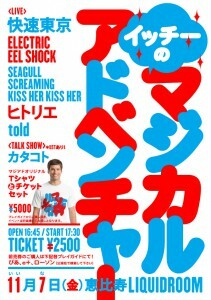 EES will play at Liquid Room, Ebisu, Tokyo on 7th Nov !! 前の投稿Seizenso (funeral performed while in life) …次の投稿EES will support The Right Ons at Fever, Tokyo on Nov 25th ! !